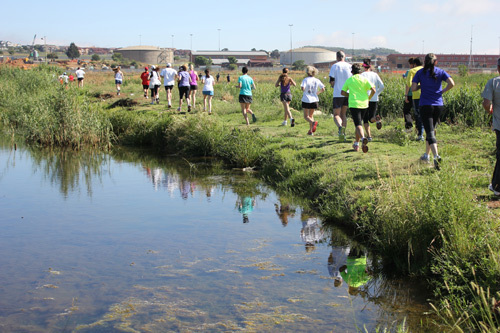 In this edition of the SA parkrun newsletter we reflect on the years parkrun progress as number of registrations reaches well over the 40 000 mark and launch of more parkruns contiues. Some may be taking a break in the December holidays but we at parkrun SA have been as busy as Santa’s reindeer. Last Saturday we launched Hall’s parkrun in Nelspruit. It was exciting to see a large crowd of nearly 100 Lowvelders arrive at the start in the Halls grounds. There were also keen visitors from some of Johannesburg’s parkruns and it was good to welcome to the start Andre and Ilse van Heerden, the Summerfields parkrun event directors. 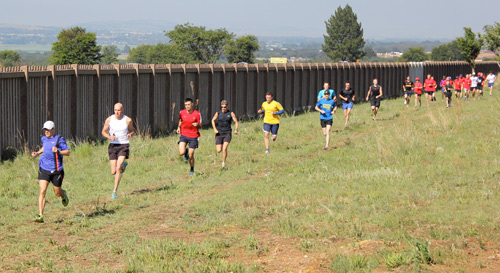 It has been a while coming but now Summerfields is not the only Mpumalanga parkrun on offer. Tracy Cresswell , Ian Toomey and Toy Dupper the Hall’s event directors have assembled a dynamic team of volunteers and have created a tough but exciting run. The course takes runners over three bridges, past orchards of Litchi trees and over the swirling brown waters of the Crocodile River. Your writer was leading as the runners started the return journey but young Madri Wiid, a first timer, taught him a solid tactical lesson and was first home. This Saturday we return to the Mother City to launch the Fish Hoek parkrun. Having liaised closely with event director, Richard Healy, we know that Fish Hoek parkrun will be another popular Cape Town event. 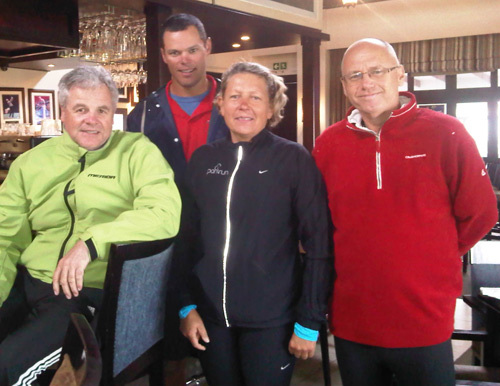 Bryanston parkrun will launch on 25th January with Event Directors Ann and David Ashworth at the helm. We will soon be celebrating two parkrun first birthdays. The first is Sunrise-on-Sea which reaches this milestone on the 4th January. Congratulations to Danie Bessinger and his many loyal volunteers. Special congratulations to Tia Taljaard who has run every single parkrun since inception and who has become the first Sunrise parkrunner to earn her red club T-shirt. As we approach the end of another very successful parkrun year I would like to thank our sponsors Blue Label Telecoms , adidas and Discovery Vitality for their invaluable assistance and belief in us. We would also like to thank all the regional directors, event and run directors and all the volunteers without whom no parkrun would happen in South Africa. To all of you and all our 43000 registered South African parkrunners have a great holiday break. P.S. Remember, parkruns will continue throughout the holiday and perhaps in a spirit of giving I would like every parkrunner to consider volunteering during the festive season. If you’ve been diagnosed with diabetes, you should take an active interest in managing your disease and this includes exercise. Before you start a regular exercise programme have a comprehensive medical check-up, which may include an exercise stress electrocardiogram (ECG). The check up must confirm that your blood glucose levels are under control. Optimal nutrition for runners means taking the healthy approach when it comes to eating for better running. Avoid fad diets, especially low-carbohydrate ones such as the Atkins diet. Apart from affecting your running, they can compromise your overall health. 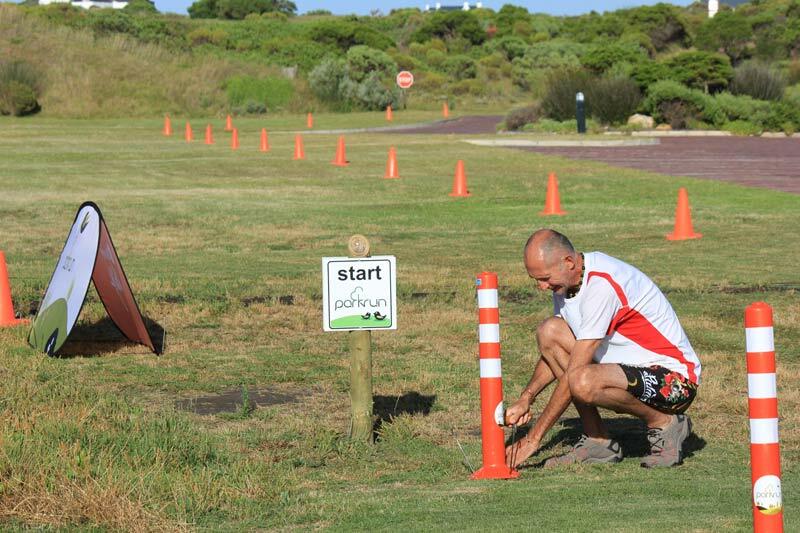 Darryl Goosen, Louwrens Greeff and the Ebotse parkrun team repaired a leaking water valve at their parkrun start. Darryl, a plumber by trade, took the initiative at his own cost to undertake the repairs. The Ebotse start has been waterlogged and flooded for the past few months. Despite repeated requests the local municipality had done nothing about the problem. So Darryl took the task of parkrun volunteering beyond the call of duty. I think that the guy’s did a great job. Next maybe they will repair some potholes on our roads (only joking). North Beach parkrun is hosting a celebrity guest this Saturday – SANTA IS COMING TO TOWN! We are so excited to have Father Christmas with us, ready to spread some cheer and interact with the kiddies. Rumour has it that he wants to collect some prezzies for the less fortunate families and kiddies in Durbs. (Obviously it is not compulsory for you to donate) If you have the time to go shopping for a small gift we would love for you to bring it with on Saturday or drop it off with the Lungile Health team (54 Balmoral Drive). If you are like us and are so busy running around getting things done but still want to help out, we will have a box for collections to help the shelters with food and school fees for next year. We are hoping for a HUGE turnout so bring the family and even the pets! Don’t forget FREE parking at Suncoast is official between 7am & 8am but only if you show your parkrun barcode. Dress in your MOST FESTIVE gear and let’s kickstart Christmas with a Fancy 5k! Every Saturday, we are so fortunate to see a fantastic group of runners take-on 5km along Port Elizabeth’s most beautiful scenery. It amazes us each week to see each participant get better & better, and watch them bring more friends who all get hooked on this incredible concept. 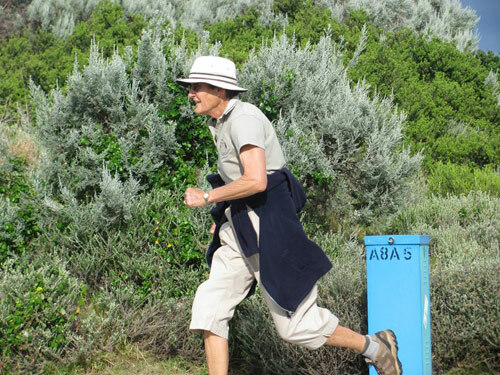 As of today, we have just over 2 222 registered parkruners at PE Hobie Beach, aged 5 to 80, who are all so excited to improve & get fit. Surprisingly, the majority of our runners are not part of running clubs, they are just doing this because they can & they are very quickly realising that they are able to run better and faster each week. I have always found running to influence my life in such positive ways – being a healthy, sociable, safe and fun experience; you are always bound to meet wonderfully happy people along the way. Each person who completes parkrun has this beautiful sense of achievement all summed up in a big smile. It is genuinely fantastic, and so motivating to see this every Saturday. This can all occur thanks to our super group of volunteers & sponsors. We appreciate you all so very much! My wife and I were invited by Oliver Ive to join Nahoon Point parkrun late in 2012, little realising what a life changing experience that would be. I am passionate about running, but have always struggled with injuries and had quite literally got to the point where I was going to give it a last frustrated try, or finally give up hope of ever running again and find another way to keep fit. Olga has never been an athlete and in 33 years of marriage had shown no interest in running. Well, one year later Olga recently completed her first 10km run very comfortably, and I am going from strength to strength, all because of parkrun. We have not just joined some running club, but really feel like part of a family. Every week I look forward to starting the weekend with our parkrun running community, stretching myself towards a new PB, but also being strengthened and encouraged by the camaraderie, genuine friendship and some practical advice, of a very diverse and wonderful group of East Londoners, plus the frequent visits by guests from all over the parkrun world. We have watched so many lives being changed by parkrun ( new friendships formed, fatties slimming down, non-runners starting to get their legs moving, families spending wonderful quality time together, etc. ) that it is no exaggeration to say that parkrun really is having a significant impact on the community. So, Olga and I want to sincerely thank you for bringing parkrun to SA - you have done many people a great service. Well done to you and your whole wonderful team! All parkruns are continuing their Christmas toy collection until Christmas. Please bring along any toys that you would like to donate which are in good condition. Thank you for your support! 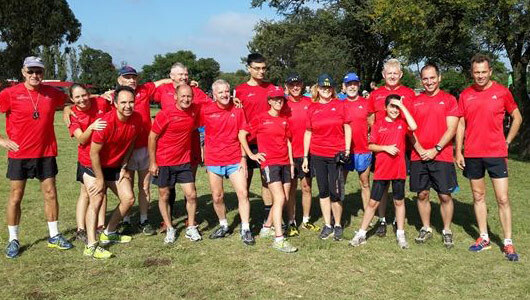 In this edition of the SA parkrun newsletter, Jo’burg South welcomes their first parkrun. 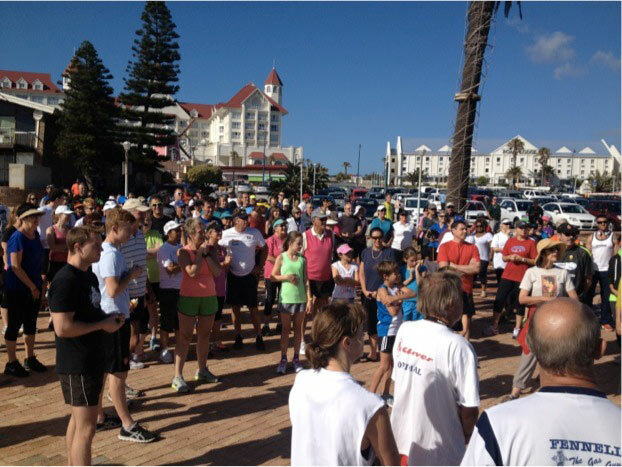 We take a look at the latest news from Ebotse and St. Francis parkruns. Discovery Vitality’s offers you health tips and adidas transforms your running with the Supernova Boost as well as a chance to win a Berlin running experience! 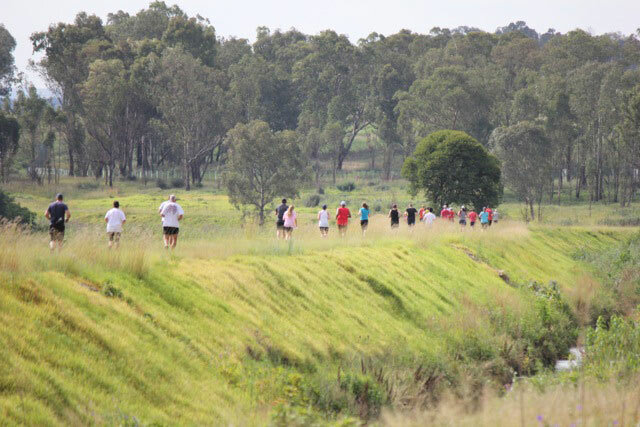 In response to a growing demand we were finally able to launch a parkrun in Johannesburg South at Rietvlei Zoo Farm. Shawn and Toni Mackrell and their team organised an exciting launch on a sunny morning. 186 parkrunners toed the line with a number of visitors from other parkruns attending. It was good to see 16 red 50-Club T-shirts in action and to welcome visitors Steve Turvey from Coventry parkrun and Simon Rehead from Newy parkrun. Finishing as first lady Tracy Rankin earned her black 100-Club tee. Next week Dieter Meyer will join her in this exclusive club. Two more parkrun launches are planned before the end of the year, at Nelspruit on 14th December and Fish Hoek on the 21st December. Over the festive season we will be looking for extra volunteers to help at all our parkruns. Please help your Event and Run Directors to have a holiday if you are not going away please consider volunteering to give our Event Directors a day off. Volunteering can be lots of fun and is not as daunting as it may appear to be. Remember parkruns are only as successful as their volunteer teams. Please contact your parkrun directly if you are available to volunteer. Supernova, the most successful technical running shoe by adidas, is ready to boost your performance even more. BOOST™ provides a higher energy return than any other foam cushioning material in the running industry. It combines soft comfort with responsive energy for the ultimate running experience. A high performance rubber outsole that grips the ground for better traction and a powerful push-off. So, whatever the weather, you remain in control. A breathable, contoured mesh that makes each movement natural and provides pinpoint support when and where you need it. A full-length stability bar that allows your heel and forefoot to move naturally, and your midfoot to remain flexible and stable. 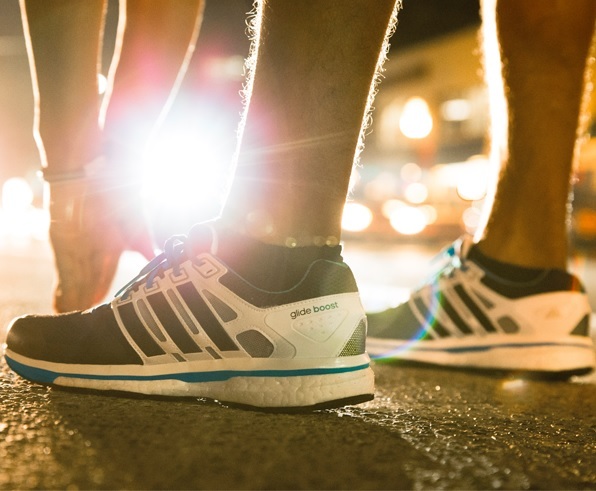 The Supernova Boost footwear is available at adidas Performance Stores. Share your running journey in our adidas #myjourney Photo Challenge and we could send you and a friend to the 2014 Berlin Marathon! There are also many other prizes up for grabs, so get going. Strength training has many benefits for runners, including decreasing the risk of injuries, increasing muscle stability and functional strength, and improving running form. Try to do at least two strength training sessions a week to get the benefit, and make sure you do each exercise correctly so as to avoid injury. It’s important to make sure you eat properly when training. Protein is a power food, and can support your training, help you build muscle and improve your performance. It’s recommended to mix and match a variety of protein-rich foods, particularly if you are a vegetarian. Try to include protein in all your meals. The 74th event at Ebotse Parkrun was quite a celebrity affair, red 50’s were everywhere. 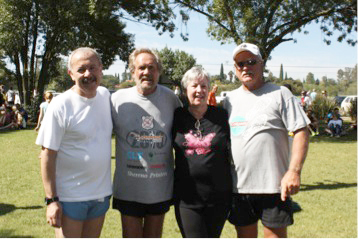 Although the morning dawned chilly and overcast a field of 218 runners and walkers – representing 14 different running clubs – eventually enjoyed to a typical Highveld summer morning. Was that because weatherman Simon Gear was there? Simon, was much like the Scarlett Pimpernel, he came – he ran – he disappeared, blitzing our course in a very creditable 18:43, followed a mere 4 minutes later by another “celebrity” visitor Tracy Rankin running her 99th parkrun. 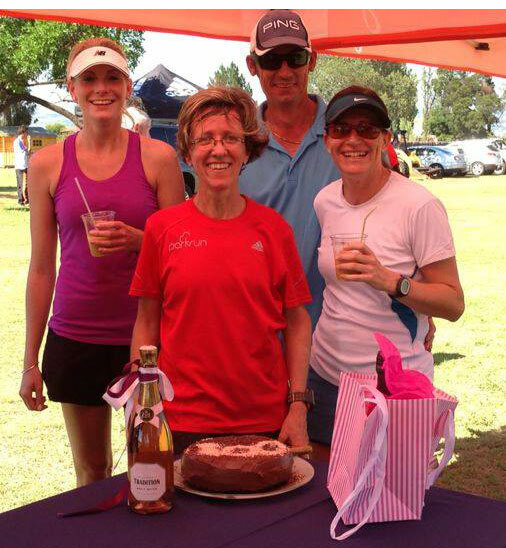 The Ebotse family has grown since the first outing on 16 June 2012, when 75 took to the course, at that time we ran along the fairways of the Ebotse back nine. The newer course along the dam is far more user friendly with all the pooches who tow their owners into PB’s. It’s great for the children too who marvel at seeing the resident Springbok up close and personal. Our thanks to the regular volunteers – Gary Jackson and Darryl Goosen - who tirelessly bring a well organised and happy run to us all each week, their encouragement to every finisher is wonderful. I would like to begin by saying thank you to our special guests: Volunteers Eric Stewart and Roland Peacock with Sue and Tim McIntyre from the UK. Carol Logie, our fesident fauna and flora guru! St Francis parkrun is not only weekly, free, timed and open to all, it is a weekly not-to-be-missed community get together for a bunch of die-hards, as we had to brave the elements for the last couple of weeks (summer normally starts on December 16 just in time for the annual holiday makers). Regardless, they pitch just in time for the start and only leave after their special parkrun breakfast at the St Francis Links Clubhouse. Dad (bottom 10) to Son (top 10): Come boy, I will stick you for breakfast. Son (freezing as he had been waiting for quite a while for dad to finish): No dad, I want to go home. Dad, very disappointed: But that’s the only reason I am doing this? We love our parkrun community. It is heart warming to see that the majority of runners and walkers are in the 60+ age group, and where we had to wait for the last people to come in at around 1hour 15 min, we hardly are out there now for more than an hour, we see PB’s every week. We also know how many of them are cancer patients still under treatment, or who just finished their treatment, the quiet fighters, we are very proud of them. We are also very proud of our committed youngsters, majority under 10’s, who already qualified for the 10-Club T-shirts and can’t wait to receive them. Well done to all! Not only is this great for the locals, each and every week we have visitors from around the globe ticking off the parkruns as they go. One Saturday we had ice rain, 65km wind from all directions and it was just horrible. We waited over a cup of coffee, wondering who will come out in the cold when a guy came in and asked us where we start. Tim McIntyre and his wife Sue, all the way from Essop in the UK, were on holiday in Knysna, and decided to drive the 200km to run St Francis parkrun, number 222 for Tim and 229 for Sue, both running in their black 100 shirts! It is great to see what parkrun does for tourism, parkrunners plan their holidays around parkruns, and being a holiday town, it means a lot to us. Every week we have visitors, and our travelling locals are also ticking off the different parkruns. I've run a couple of these now (Root44). I would just like to compliment you, as I think it's a fantastic way to get people involved; to get families and youngsters out whether its running or walking. I see so many "young" people i.e. 10 to 30 year-olds, people who never used to exercise. The relaxed atmosphere; the off-road natured event and the fact that it is free are in my opinion big draw cards. As an "old" runner it is fantastic to see parkrun bringing people back to exercising. Keep up the great work!!! P.S. - don't be shy to call for volunteers every week. A quick reminder that the SA parkrun Board suggested that we collect toys for orphans and disadvantaged children during the Christmas period. This is purely voluntary and those parkruns which participate might want to identify where they would like to donate toys. If you have a special Childrens Charity that you are involved with please advise your Run Director. This would be an opportunity for you to manage the collection of toys or food for your charity from your local parkrun. School holidays have begun and if you are travelling, please take care and be safe on the roads. Remember to visit a parkrun near your destination of choice. We would love to hear all about your experiences!